Windows Media Player 11 for Windows XP offers great new ways to store and enjoy all your music, video, pictures, and recorded TV. 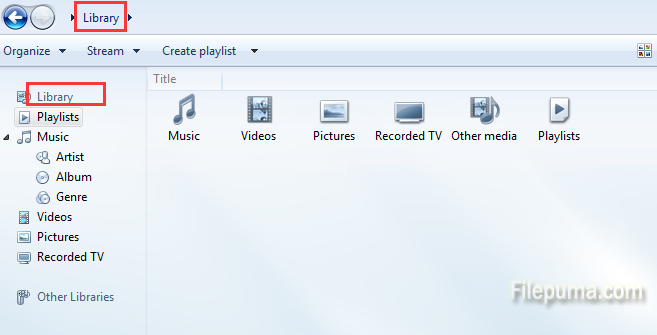 Windows Media Player includes a feature that allows you to convert music from your CDs directly to digital audio files. This includes rewritable CDs — also known as CD-RWs — that you’ve burned songs to. This would make CDs more convenient to listen. Here is the instruction to convert CD-RW digital audio. 1. Run Windows Media Player and insert your CD-RW into your computer’s drive. Click the ” Library” button to go to library zone. 2. Right click your mouse on the blank and click “Tools—-Options.” Open the “Rip Music” tab. 3. 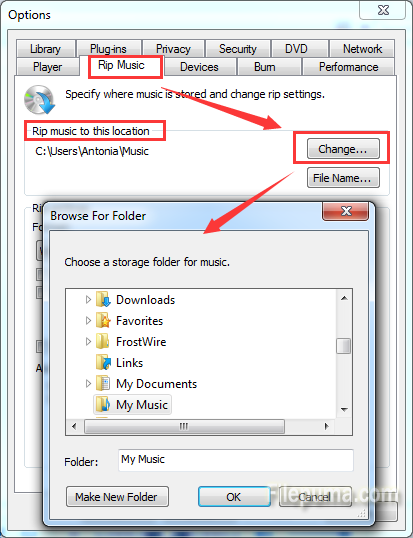 Click “Rip Music to this Location” and “Change” to change the music location. Click “File Name” to change the file name. 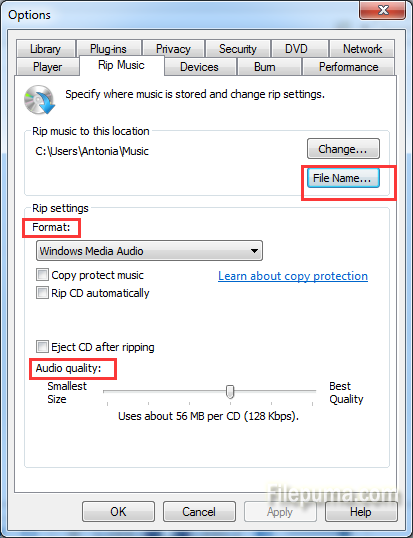 Click “Format” to change the file type for the converted music files, like “WMA,” “MP3″ and “WAV.” Click “Audio Quality” and adjust the bit rate. 4. Deselect the check boxes next to any song you don’t want, and then click the “Rip CD” button. Wait for your songs!